8 to 12 oz. round, to oblate, yellow fruit turns to a bright yellow-orange when left on the vine. Heirloom Seed Packet. Yellow Brandywine is one of my favorite yellows. 8 to 12 oz. round, to oblate, yellow fruit turns to a bright yellow-orange when left on the vine. 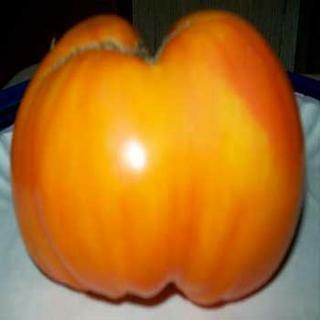 Has one of the creamiest textures and complexity of flavors I've ever tasted in a tomato. Potato leaf vines are vigorous.